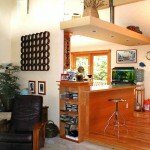 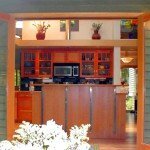 This project was the transformation of a ’70s era split-level home in Kirkland, WA, with the remodel of its kitchen, dining and living rooms. 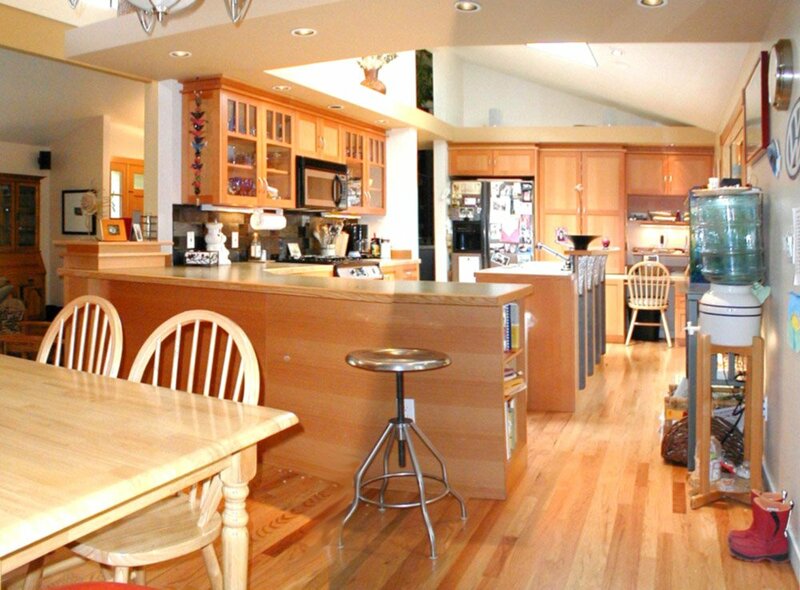 The goal was to modernize the space and make it functional for a growing family. 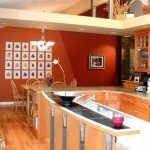 The remodel completely gutted the kitchen and dining room. 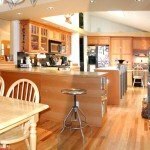 The solution presents an entertainment kitchen, with center-island, that is open to the dining and living areas and the backyard deck. 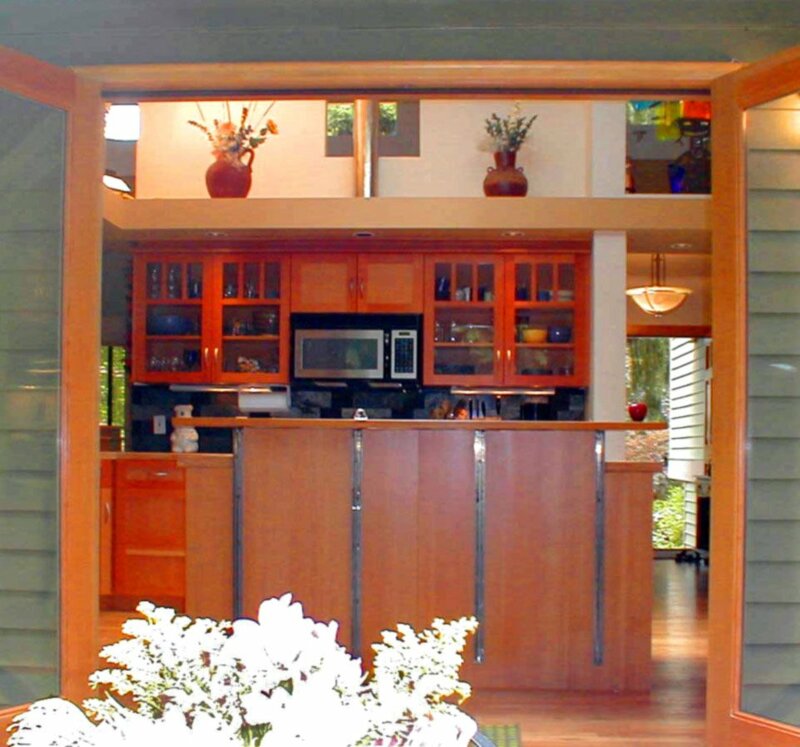 Two pairs of French doors and a skylight were added to flood the space with light and connect it with the lush backyard. 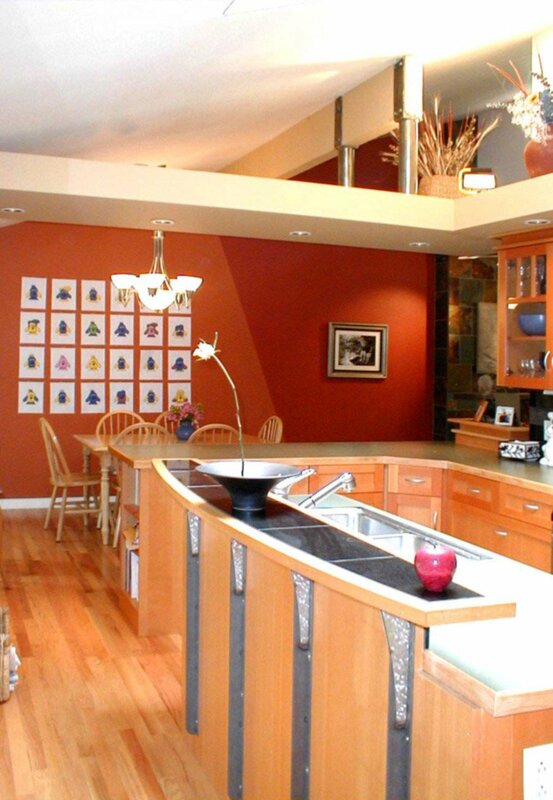 Visible from the entry, a feature soffit runs throughout – energizing the space and tying the rooms together. 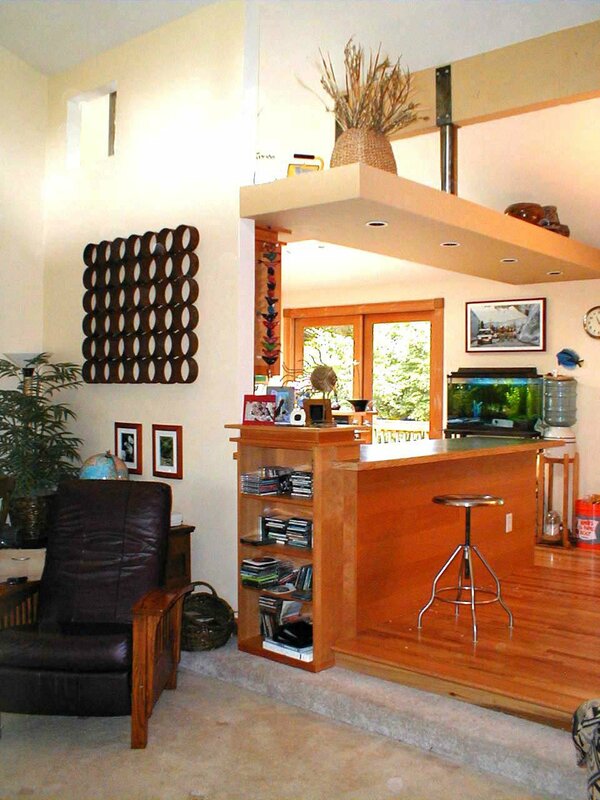 Future plans include the central stair railing and a bath remodel.